For three days in January some of the key thinkers in the field of data science met together in the elegant and inspiring surroundings of the New Forest just outside Southampton to reflect on the current state of play in Data Science. 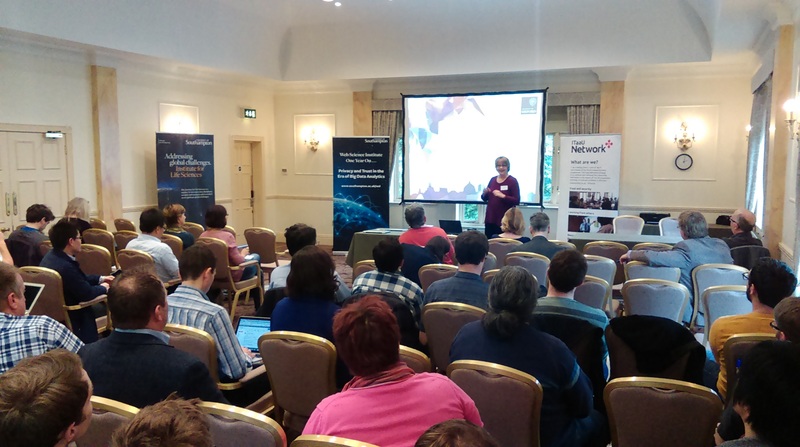 The event took place over 12th – 14th January, 2016 at the Cerys Manor conference centre and hotel in Brockenhurst in the heart of the new Forest. This was a high-level event on Data Science organised by the University of Southampton which aimed to look at the Prospects for Data Science, understood as the interface between Statistics, Mathematics and Computer Science providing new methods for handling, analysing and extracting knowledge from data, including Big Data. There was a good turnout for the event over all of the days. David Hand, Imperial College London, gave an excellent opening talk which set the scene for the rest of the conference. Data Science and Big Data have been around for a while, understood by mathematicians, but only now are they receiving greater interest from the public, media and politicians. Peter Grindrod, University of Oxford, presented a provocative reflexion on the challenges and opportunities involved in setting up a Data Science programme. In other words, an examination of the big, high-level issues that have to be tackled in order to achieve a successful educational outcome. One of the key aspects of this is the identification that strong leadership skills are needed at all levels in clouding at the funding bodies themselves. Overall, there were, to my mind at least, a number of key messages that emerged from the talks and debates that look place over these three days. There is something of fight, or at least competition, to own data science. This is problematic as data science is something of a skill set or approach that spans traditional disciplines which still need to thrive. There has not yet emerged an agreed understanding of what data science is and what skills are needed by practitioners. It is also clear that data science is a fast moving and evolving field. Finally, the call to action for senior policy-makers to grasp this topic and understand the need to provide some subtle steer on the trajectory and velocity of change. This entry was posted in Activities, Conferences, Events, News, Stories and tagged data, Data analysis, data science, mathematics, statistics on March 17, 2016 by Stephen Brewer. Design Thinking, an introduction, or What is Design Thinking all about?